Our facial skin is most important, precious yet the most fragile and most exposed area of our body. It is always exposed to pollution, harmful UV rays of the sun and dust. Being sensitive, the facial skin also gets affected due to beauty or bodycare products with strong chemicals and the obvious results are blemishes, rashes and skin irritation. Therefore its extremely important to take regular care of your facial skin with the use of best skincare products for your skin type. This becomes even more important if you suffer from any of skin issues like dry skin where a good facial moisturizer comes as a rescue on regular use. 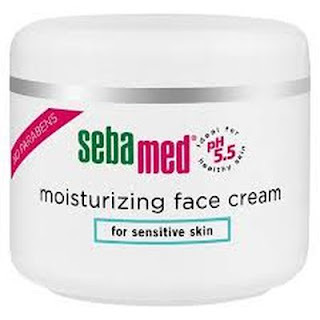 Its quite difficult to find a good facial moisturizer which not only heal and repair your dry damaged skin but also retain its lost lustre along with maintaining it in the long run being non greasy, easily available and skin friendly. 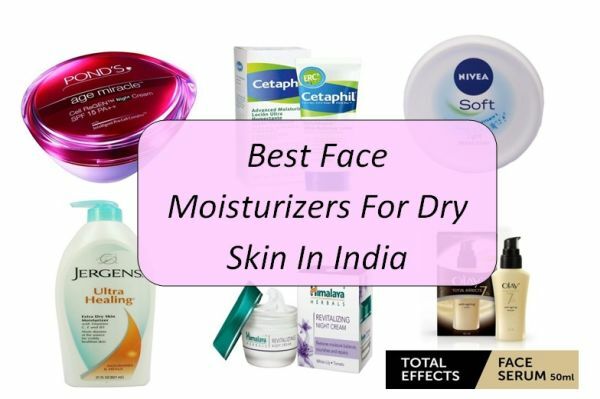 Here is the list of top 10 facial moisturizers to deal with your dry damaged skin. Price - Rs 499/- for 621 ml. 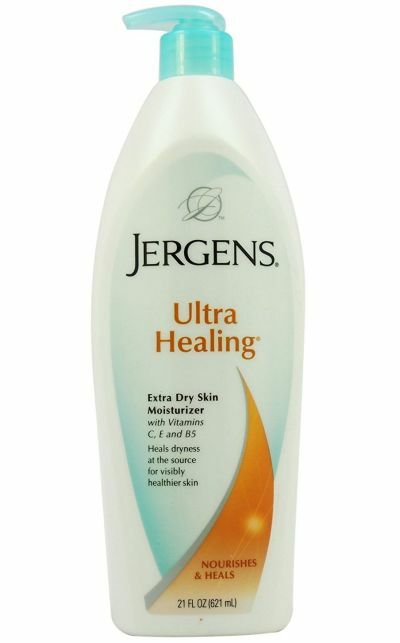 Jergens Moisturizers are designed to make a beautiful difference for your skin - a difference you can actually see, feel and experience. Made with an illuminating HYDRALUCENCE blend. Restore your skin's deep luminosity to reveal skin that's never looked so beautiful. Price - Rs 585/- for 50 ml. This cream comes with the pH value of 5.5 of healthy skin. Active moisturizing complex supports the Natural Moisturizing Factors of our skin to replenish its moisture balance. 26% lipid content makes skin soft and smooth. 2% vitamin E neutralizes free radicals, which cause premature ageing. Reduced water loss maintains fresh complexion. Stabilizes the acid mantle protecting against noxious environmental influences. Supports and protects the natural barrier function of the skin's acid mantle.With the pH value of 5.5 of healthy skin. 24 hour moisturizing skin care. This is one of the best moisturizer for dry skin. Price - Rs 299/- for 300 ml. 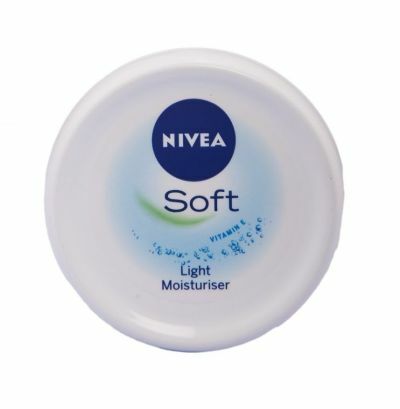 This Nivea Soft Light Moisturizing Cream is enriched with Vitamin E and Jojoba oil, it provides intensive care and a highly effective freshness kick. The light texture absorbs quickly and leaves an invigorating, soft feeling of relaxation. Hydrates the skin with intensive moisture and a high efficiency of freshness. Nourishing formula with Vitamin E and Jojoba Oil. Gets absorbed quickly and leaves skin supple and soft. Price - Rs 80/- for 100 ml. This herbal face moisturiser is enriched with Aloe Vera, Almond Oil, White Lily and Carrot Seed Oil. Oils of Almond and Carrot Seed combine to protect your skin from the damage caused by exposure to pollution and sunlight. Aloe Vera soothes and moisturizes dry skin. Almond Oil is an excellent skin softener, which hydrates your skin. Carrot Seed Oil contains vitamin A in the form of beta-carotene, which is essential for tissue growth on the skin's surface. It is also beneficial in reversing the effects of sun damage. White Lily has anti-pigmentation, whitening and bleaching properties that inhibit melanin formation. It also regenerates new skin cells. Price - Rs 300/- for 100 gms. Provides rapid onset of hydration that contributes to patient relief. Clinically proven to provide 24-hour long lasting moisturization due to a unique combination of 5 key ingredients. High tolerance, fragrance-free non-sensitizing and non-comedogenic formulation, suitable for all patients with dry to very dry sensitive skin. Non-greasy, non-irritating. Price - Rs 225/- for 80 ml. Lotus brings you this powerful moisturiser that incorporates cocoa butter to cocoon your facial skin in hydration all day long. The purely organic and natural ingredients in this Cocomoist Moisturizing Lotion are safe and gentle on your skin and penetrate deep to give you soft skin that is free from dryness. The rose water in the Lotus Herbals Lotion is an excellent toner and regulates skin pores while the honey, a natural antiseptic, nourishes and softens your skin. This all-purpose lotion maintains the pH balance of your skin and increases its moisture retention capacity. Price - Rs 775/- for 50 ml. Olay Total Effects 7 in 1 Anti-ageing Serum gives you an even skin tone and reduces blemishes and spots. Reduces dryness and preventing flaky skin, this serum provides your skin intense moisturization along with Imparting glow to your skin, reduces fine lines and smoothens wrinkles. Fight signs of ageing, Olay Total Effects 7 in 1 Anti-ageing Serum endows you with youthful skin that is soft and supple. Price - Rs 200/- for 50 gms. 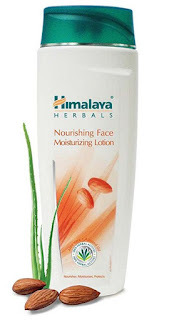 The Himalaya Herbals Revitalizing Night Cream has natural elements like Lemon, Crab Apple, Wheat, White Lily and Tomato. All these ingredients help add health to a dull skin. Lemon has antiseptic properties and works as a natural bleaching agent, making the skin fairer and free from pimples. Crab Apple has keratolytic qualities, which keeps the skin cool and reduces inflammation. Wheat has been used since time immemorial as a skin remedy because it works wonders on sunburns, damaged skin, wrinkles and dark patches. White Lily has glycolic acid that makes the skin bright, fair and glowing. Tomato being rich in Vitamin C works as an anti-oxidant, improving the complexion and texture of the skin. Price - Rs 599/- for 50 ml. 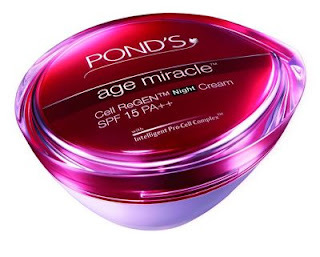 The Ponds age miracle overnight repair cream is a moisture-rich cream that works hard to repair damaged skin and promote cell renewal. Enriched with Intelligent pro-cell complex, CLA and collagen, this formula leaves you with smooth and soft skin that'll feel up to 10 years younger. Price - Rs 525/- for 50 ml. This Plum Night Cream is great for normal, dry and mildly combination skin. Not recommended for oily or acne-prone skin. Vitamins A,C,E & minerals from grape seed oil supply essential nutrition to your skin. Polyphenols, beta carotenes and essential fatty acids from sea buckthorn oil for skin repair. Light, non-drip formula that doesn't look messy when you apply or in the morning. Get softer, brighter, younger-looking skin with regular use. Prevents dryness from causing new creases, while grape seed and sea buckthorn oil nourish, heal and repair skin. So this was the updated list of best facial moisturizers of 2016 for dry skin types including facial moisturisers, lotions, skin creams and even night renewal creams to work upon your dry dull skin and restoring it natural texture for a glowing healthy skin.